​..... it's a favorite place for summer conversation and relaxation. In the winter The Veranda is an awesome shelter from which to watch the snow fall! 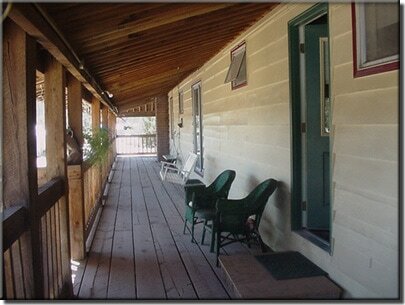 Each room has Air conditioning, a Flat Screen satellite TV and a private bath.